wooooow!!! IM FROM MEXICO THANKS GREAT INFO IM JUST POSTING ON FB IVE BEEN LOOKING FOR THIS INFO 2 HOURS THAKS YOU!!! I’m glad that my site was helpful to you … but I’m disappointed that it took two hours to find it! I was doing some research and the chinese style “Yin-Yang” is called “Inyodo” in Japan. 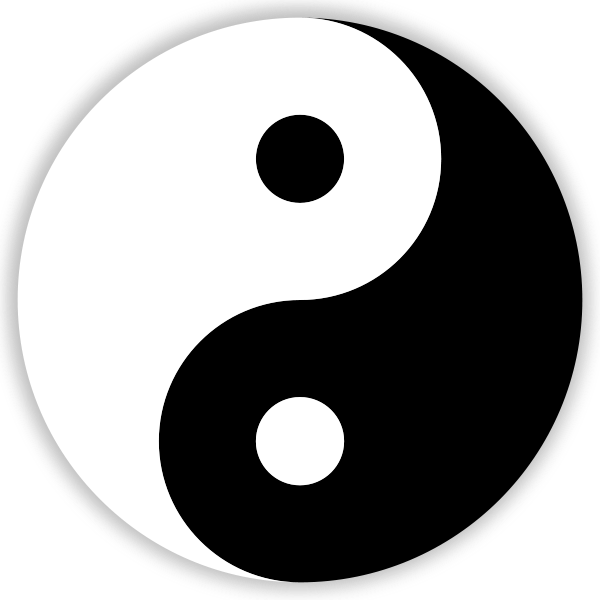 The Chinese teachings of “Yin-Yang” are called 「陰陽道」 (which can be read as “Inyoudou” or “Onmyoudou“). The “Yin-Yang” symbol (which you have as your avatar) is called 「太極図」 (Taikyokuzu) in Japanese. 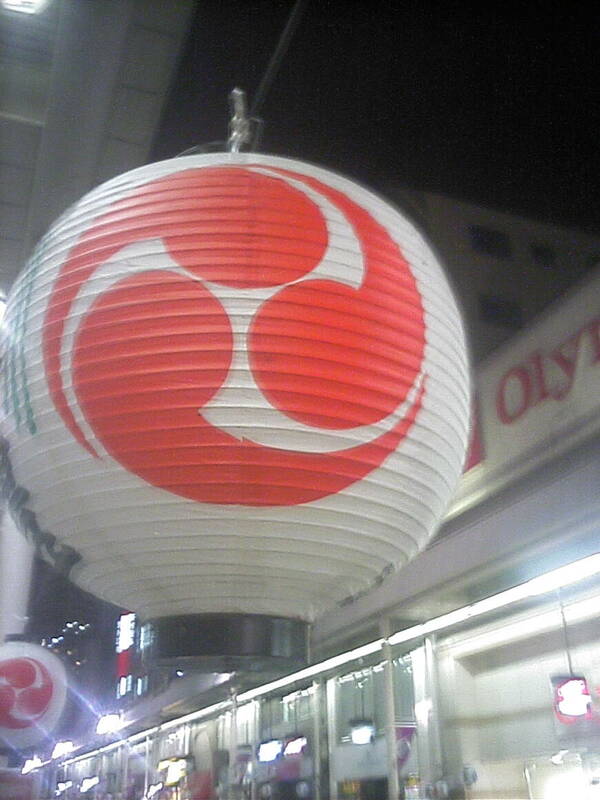 And I just added a photo that I took today with my cell-phone of a 提灯 (Japanese paper lantern) with a 三つ巴 (mitsudomoe) on it. You forgot what your family crest looks like? In this “Information Age“, I guess people will start learning more about other cultures in the world. and the bands Sepultura, Trivium, and others have used it on album covers. the japanese symbol is very pretty – but does it mean the same as the yin yang one? cos the blanace between white and black is not even. People in countries that are far apart usually don’t know much about each other. And there are often misconceptions. I’ll be honest. I don’t know very much at all about Africa. I think it’s the coolest one. >but does it mean the same as the yin yang one? No. The one with three parts is meant to symbolize earth, sky, and man. The one with two represents earth and sky. 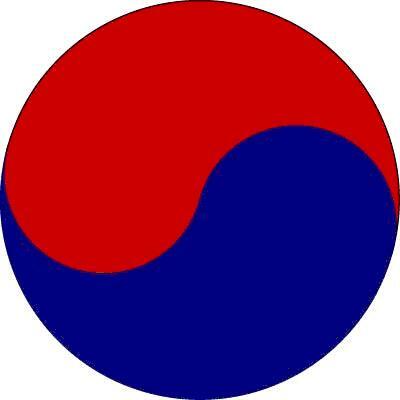 The Korean one is similar to the Chinese one…but I believe it’s parts represent earth and sky, as well.